Most are eager to go to Mars, but at what cost? Astronaut Eugene Cernan walks toward the lunar rover at Apollo 17's Taurus-Littrow landing site on Dec. 19, 1972. 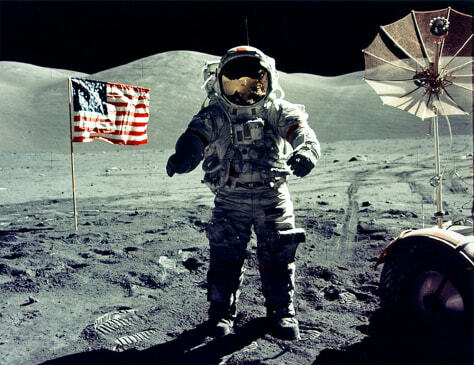 The photograph was taken by Harrison Schmitt, the first and last scientist-astronaut to walk on the moon.